Buy Virtue Labs Smooth Shampo I Edwards And Co.
Work a quarter-sized amount of shampoo into a lather between palms. Apply to wet hair and massage into scalp, starting at the nape of your neck, and work the lather through ends. Rinse thoroughly. 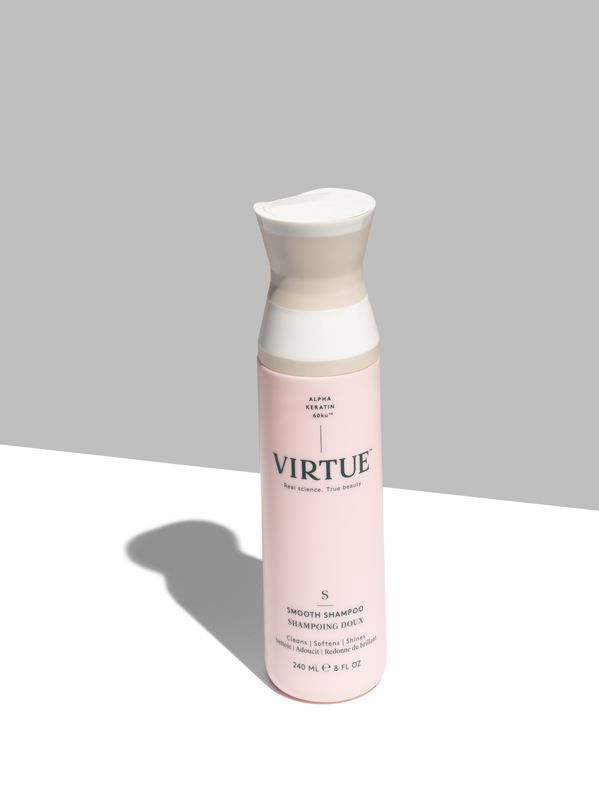 For best results, follow with your favorite Virtue Conditioner. Pink Pomelo – Rich in Vitamin A, C, B1 and zinc, it’s a vitality shot for your hair. Phospholipids – Derived from natural soybeans, they help fight frizz and protect against humidity. Gotu Kola – A multitasking Indian herb, it promotes strength, smoothness and luster.